A balanced diet – an expression that easily rolls off the tongue. It’s not so easy to work out what makes up a balanced diet though. It’s even less easy to maintain one. I’ve recently come across an old article on the “Foundation of Balanced Eating“. I have no idea where I found this but it makes for a good read and its not too hard to work out how to implement it. Any ripe, in-season fruit (or fruit juice). If not hungry, have a glass of pure water instead. If fruit does not satisfy your appetite then follow it, after an interval, with natural yoghurt, sunflower seeds, nuts, muesli, wholemeal toast or an egg, or top a fruit salad with, for example, ground linseed, sunflower seeds and almonds. Salad or steamed vegetables plus a starchy dish such as a wholemeal sandwich, potato salad, baked potato, savoury rice, wholemeal pasta or a sweet corn dish, etc. If still hungry, have another sandwich, a muesli slice or similar starchy food. An alternative meal is fruit salad plus nuts or sunflower seeds and linseed or cottage or ricotta cheese or any other protein food. If desired, have dried fruit with either lunch or dinner. Lunch and dinner can be swapped around. Provided one is a protein meal and the other a carbohydrate meal, this is what really matters to maintain nutritional balance. 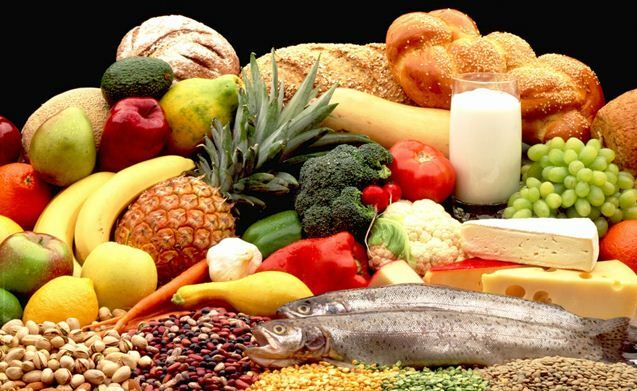 You might also like to read: “Basic principles of a Whole Food Diet” which is a simple one page guide on the sorts of things to consider when trying to get back to what your grandmother might recognise as food.